As part of Norwich University’s ongoing mission to work with and serve local communities, students in the Master of Business Administration (MBA) program had the opportunity to complete an exciting case study during the 2018 Residency Conference. The primary aim of the MBA case studies is to give students an in-depth, hands-on look at a local business and its operations; in turn, said business receives relevant, well-researched suggestions for overcoming pressing organizational challenges. This past June, Norwich MBA students lent their collective expertise to Vermont Village, a local cannery that offers a wide variety of Vermont grown, organic products such as drinkable vinegar shots, apple butter, sauces and more. Vermont Village got its start in 1977 by kettle-cooking organic apples into applesauce, but in recent years the company has pivoted to focus on apple cider vinegar. 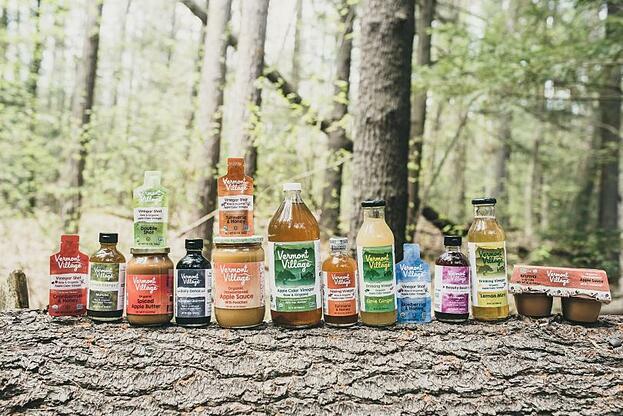 As consumer demand for apple cider vinegar has skyrocketed, thanks in large part to its many demonstrable health benefits, Vermont Village has taken a leading role in shaping this trend by creating a line of vinegar beverages with a variety of applications. In addition to traditional apple cider vinegar, Vermont Village offers tangy, juice like “drinking vinegar” in a variety of flavors; sipping vinegar that can be mixed with water or seltzer to provide a healthy boost to one’s daily routine; and one-ounce vinegar shots for the health-conscious foodie on the go. These products have not only netted Vermont Village a plethora of nominations for innovation awards, but have propelled the company into a state of growth and expansion that brings with it numerous organizational challenges. Andrew Lawrence, brand manager for Vermont Village, says he was approached by Norwich’s MBA program staff in March with the opportunity to participate in the case study. The pitch was simple: at no cost to Vermont Village, organizational leadership would give a presentation on the overall business model and the inherent challenges therein, after which Norwich MBA candidates would use their hard-earned expertise to derive viable business solutions. This mutually beneficial relationship has paid dividends in the past, with local companies such as Citizen Cider and Red Hen Bakery having participated in case studies and gained invaluable perspective on their business operations; in the case study, Lawrence and Vermont Village sensed an opportunity to share their story and strengthen ties to the local community. 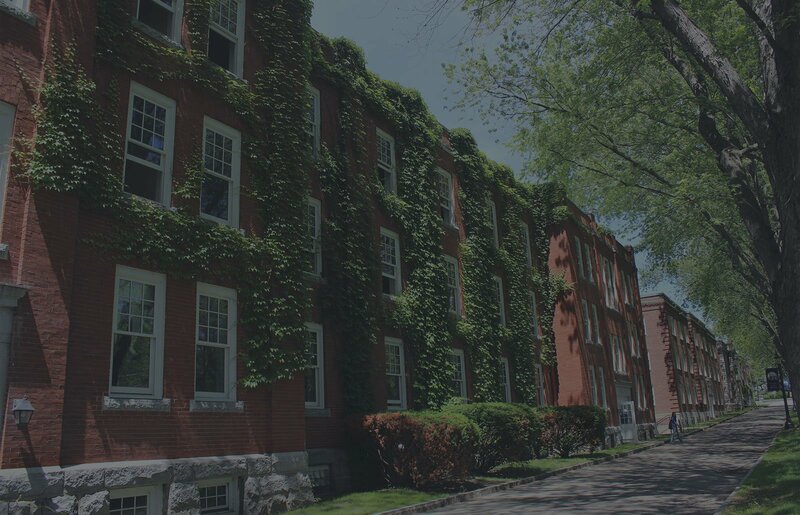 Following a comprehensive overview of Vermont Village’s business operations, goals and challenges, MBA candidates separated into groups based on their degree concentrations and began generating solutions for each facet of Vermont Village’s business. For example, the construction management group focused on reconciling Vermont Village’s expansion with limited availability of manufacturing space, while the marketing group was tasked with identifying means by which the company could raise its national profile while staying true to its Vermont roots. According to Lawrence, the MBA students were able to provide well-reasoned feedback that not only provided possible solutions to organizational challenges, but offered further food for thought for Vermont Village’s senior leadership. True to Norwich founder, Captain Alden Partridge’s mission of educating citizens with an aptitude for leadership and a strong sense of community, Norwich’s Master of Business Administration program offers graduates a proving ground on which to demonstrate their skills and crystalize the principles of strong business administration. Moreover, the MBA program creates real stakes for these students by allowing them to work with legitimate area businesses. The result is practiced students who are ready to go out into the world and affect profound change, and strong local organizations that provide immense value to the community.